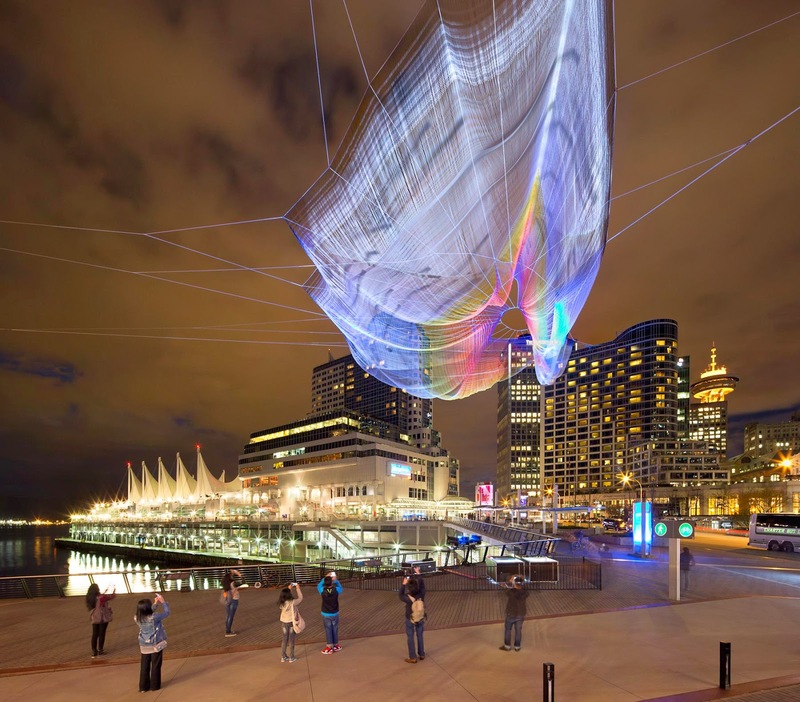 The people of Vancouver got their very own eye candy Monday, in the form of a humongous, glistening interactive art installation—called Unnumbered Sparks—floating high above the waterfront near the Convention Center. Constructed with featherweight fibers, the sculpture is anchored to the roof of a nearby skyscraper. No, it was not to celebrate St. Patrick’s day, but rather to commemorate the 30th anniversary of the TED Conference, which takes place in that city through March 21. The interactive part is a unique form of artistic crowdsharing—the installation also incorporates a giant Chrome browser window that spans the 300-foot sculpture via five high-definition projectors. Unnumbered Sparks floats above the Vancouver waterfront. As noted in Google’s blog, anyone with a smartphone can collaborate by creating colors and ripples on the surface of the sculpture. From their phones, participants launch their own browsers (Chrome or something else), choose a color, and trace a path along the surface of their device. These strokes dynamically show up on the sculpture in constantly changing hues. 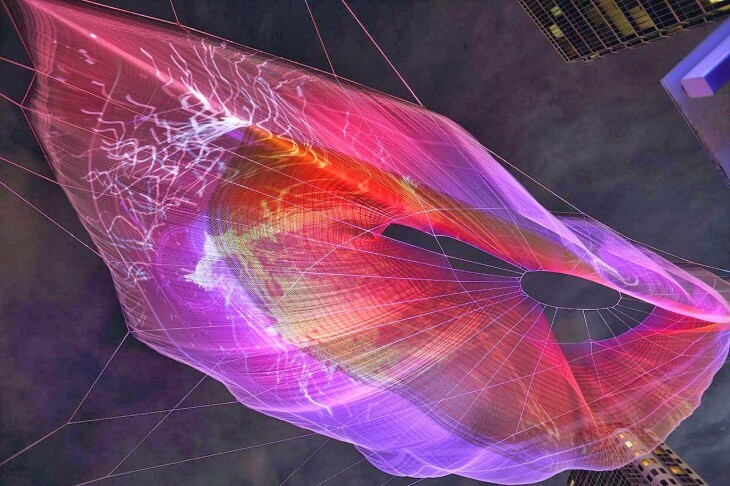 The artwork, one of the largest textile sculptures ever created, was designed by artist Janet Echelman in collaboration with Google Creative Director Aaron Koblin.